On the left is my mother. 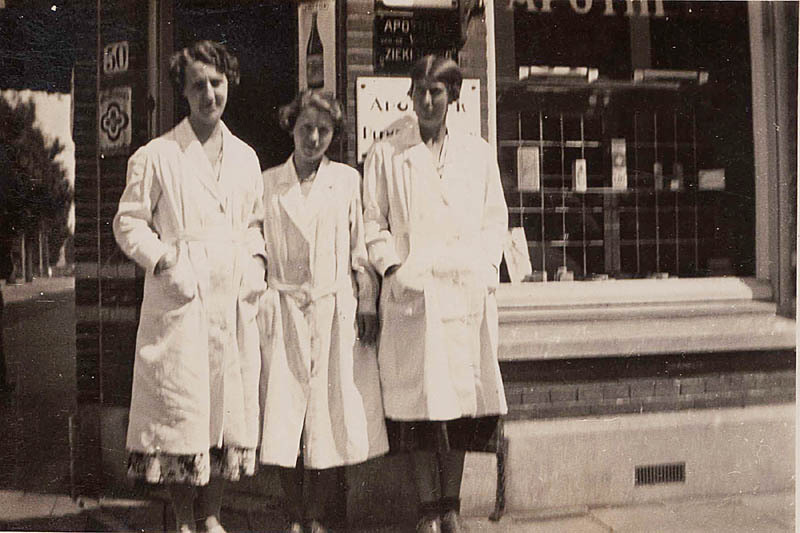 She was a qualified pharmacist's assistant (Apotheker's Assistent) and was working at a pharmacy in the Hague when she became engaged to my father. I believe the shop was in the Pijnboomstraat.